Hello Friends! Welcome to Day 2 of The Daily Marker 30 Day Coloring Challenge. This is a very exciting day! 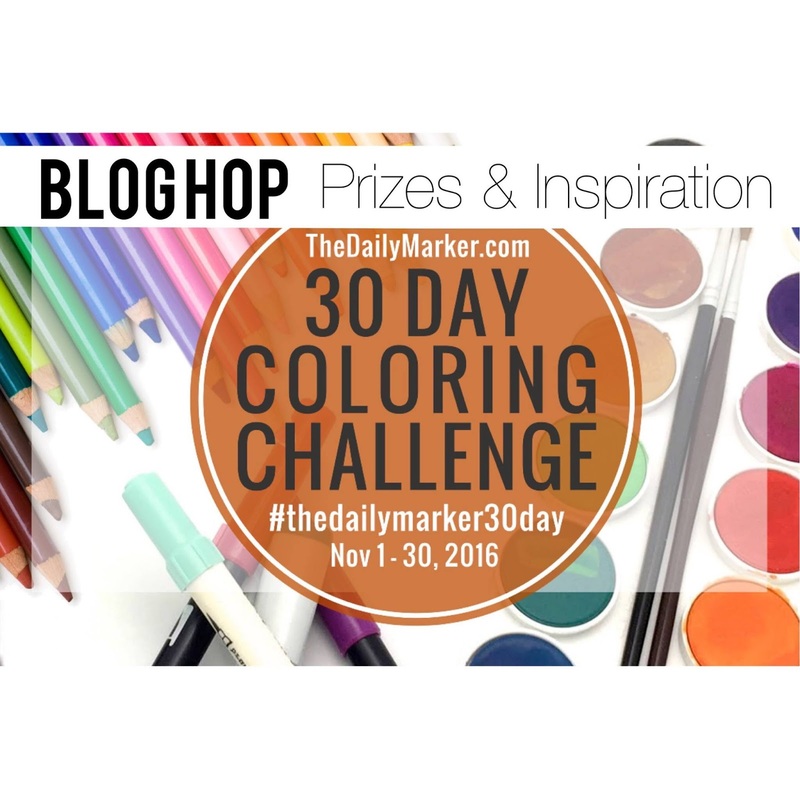 I was asked to take part in The 30 Day Coloring Challenge Blog Hop and of course I said YES! There's lots to talk about, so let's get right to it! 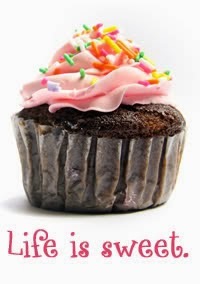 If you are coming from my sweet friend, Kathy Racoosin's blog you are in the right place. I wanted to color something Autumn related, so I chose this sweet digi stamp from Power Poppy called, Maize for Days. Please click on the pictures to enlarge them. I printed the image onto smooth white card stock. Once in dark brown and then again in light gray. I colored the main image with Polychromos colored pencils and blended them with a Derwent blending pencil. I didn't blend all of it, just certain areas because I really like the texture I get from colored pencils. After I finished coloring, I die cut and embossed the image using an oval Nestie and while the image was still in the die, I brushed on some Antique Linen Distress ink. I did the same thing with the sentiment piece. I matted the focal panel with a scalloped oval and mounted it onto my card base with foam tape. Next, I gave the corn husks and the bittersweet berries a coating of Clear Spectrum Sparkle. And I added Crystal Effects to the berries for more shine and a little dimension. For the inside of the card, I used the light gray image onto which I printed a sentiment from another Power Poppy digi stamp set called, Gladioli. I re-colored it brown so it would coordinate better with my color palette. And again, I brushed on a little ink while the image was still in the die. By the way, if you need instruction on how to work with digital images, there is a wonderful tutorial you can take a look at HERE. And that, my friends, is all I have to share with you today! Now it’s time to hop to my friend Sarah Jay. 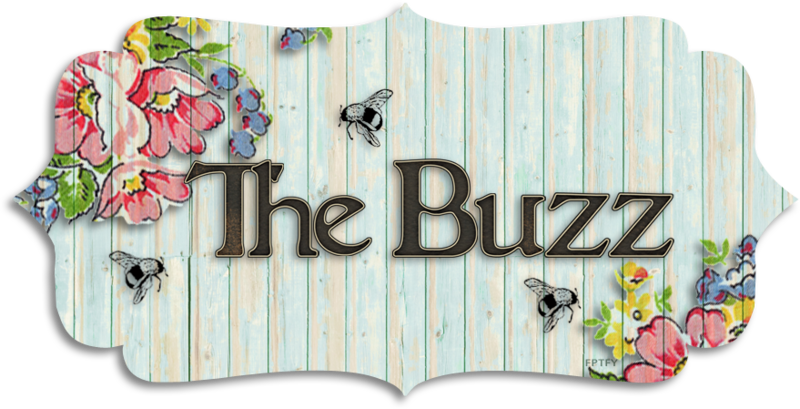 I invite you to come back and visit me again, as I will be posting almost daily during the challenge. Lovely cards! I really like the tip about printing in gray. I love the cards and the idea about printing in gray! Power poppy rocks - I'm trying to do a 30 day all power poppy on the challenge! Fabulous coloring!!! Beautiful! You are very good at coloring!! I'm still learning...thanks for sharing your card and ideas!! Ohhhhhh, love the corn coloring, and of course the sparkle! Wow, love the dimension and gorgeous coloring. Your coloring is beautiful! I really need to practice with my pencils to make mine prettier. I love the layout of your card and how you did the light gray image on the inside. Such a pretty card! An absolutely stunning card, Julia. Your coloring is exceptional! Thanks for sharing. Awesome projects! Love how you used that beautiful digi stamp, great layering on the first and absolute perfect CAS on second. Beautiful card. Thanks for link to tutorial about digital stamps, I just need it. I've never heard of Power Poppy - I do believe I need to investigate! And your coloring - WOW! I love everything about this card - thank you so much for sharing!! Your card is beautiful, I am so glad you chose this image I needed ideals for colors. Gorgeous card! The maize is so beautiful! I love the way you did the inside also. Love your colouring, looks like a picture ! Beautiful card and wonderful coloring. Wow! That corn looks 3-d!! Beautiful! This is gorgeous! your coloring is amazing! it looks so 3D! I love that you stamped it on the inside of the card as well! 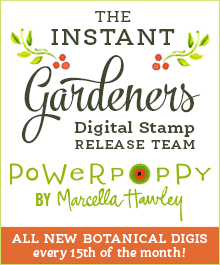 I love that Power of Poppy stamp set and you made a beautiful card with it! What a beautiful colors, I love autumn. Thank you for tutorial! Omg!!! your cards are so beautiful. thank you so much for sharing. What a gorgeous card. I love the coloring...the corn looks so life like. Very textured. Thank you so much for sharing. Wow! Great card and coloring. Thank you for sharing! Just love how you colour with coloured pencils. Beautiful! INSANELY amazing coloring - soooo realistic! Your shading is perfection!! I looked at your card for a long time trying to figure out which parts you cut out and popped up to give the image so much depth, but after reading your description it's all done with your coloring! Amazing an beautiful!! Your card is beautiful. Love your coloring. It's perfect for fall! I am about to buy some polychromos! This is a beautiful card and your colouring is stunning! So beautiful and love your coloring! Gorgeous coloring Barb! The color selection and cardstock is perfect! Your coloring is so realistic! A beautiful job! WOW I love your card wonderful job on coloring and just the whole card. Haven't used alot of Digi stamps but after seeing this I really would like to learn how to use them. Beautiful card. You did such a wonderful job with the details, they make the image pop off the page. I have not tried digital stamping yet because both my printer do not like the heavy paper. Wonderful card - love the layered corn and coloring! Beautiful! Love the colors...looks so real!! Beautiful coloring and what an appropriate project for the season! Your coloring is stunning! Love. Love. Love this card! 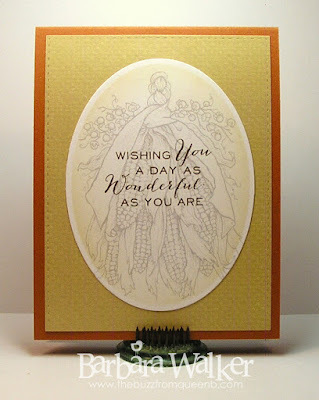 Beautiful card...and very authentic looking corn! So lovely Barb:) Thanks for all the tips..printing on different color paper ect. You have inspired me to get the pencils out! Barbara, your card is beautiful! So perfect for this month - love it. Such a beautiful image and lovely coloring. Really like how you used the image inside too. Great idea. Beautiful cooring on your Autumn card. Love the image and the coloring. I haven't heard of Power poppy so thank u for the introduction. How absolutely stunning your coloured pencil work is! Love how beautiful your stamp turned out and what a beautiful card it made. Great idea to add the texture with the embossing and shine. WOW what a gorgeous digi. Your coloring is spot on. Wow love your delicate colouring, your card is beautiful. Your colored pencil work is so beautiful! Thanks for sharing this. Thanks for sharing! I love your colored pencil work very much. Wow Barb, this looks so beautiful!!! I love your color choices!!!! What a gorgeous piece of art you've shared with us, coloured so beautifully! Love coloured pencils...Thank you for the incredible inspiration! Wow, your corn is so beautiful!! Great coloring! Oh YAY some help with digi! 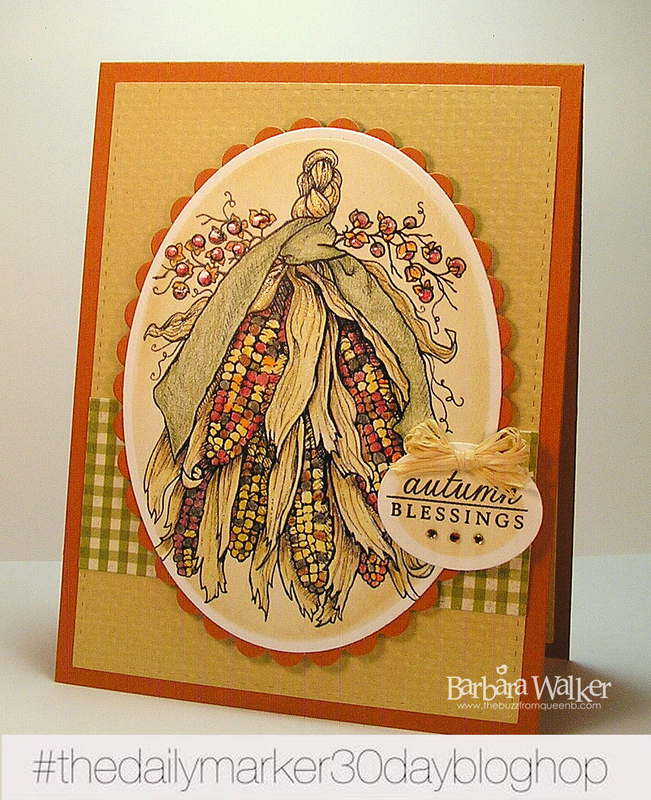 Just love this card, it really speaks Autumn to me!! Wow! Great coloring skills! Love your card! Beautiful card--I use digital stamps too--then I can print it on copic friendly paper and color way. Great job! I love my colored pencils too. The contrast of blended and non-blended gives so much texture. Stunning card!!! colouring is spot on. LOVE your card, and how you've brought the image to life! 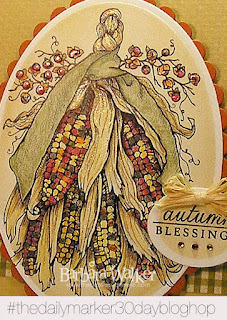 What a beautiful autumn/Thanksgiving card...these colors are so subtle but stands out. I love the tips you gave and look forward to trying them out. Love your coloring - the colors are beautiful ! :) thanks for sharing! Love the beautiful and subtle colors of the Indian corn, lovely. I love this card. It's gorgeous. Gorgeous card! Love how you designed this! What a beautiful card. Your coloring is outstanding. I should work with digis more. Beautiful card, just starting coloring. Can be frustrating at times, but I like it! Thanks for sharing. Using die cuts to enhance your focal point is lovely. 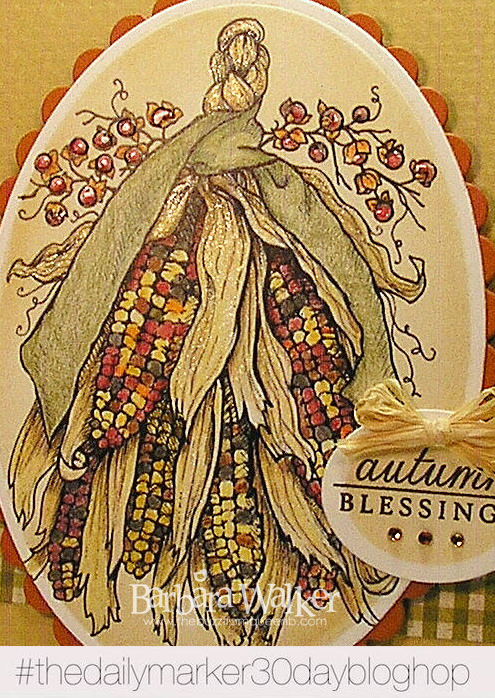 Gorgeous fall card, and lovely coloring. I was wondering about the berries(crystal effects)I must write it down.This is captivating. 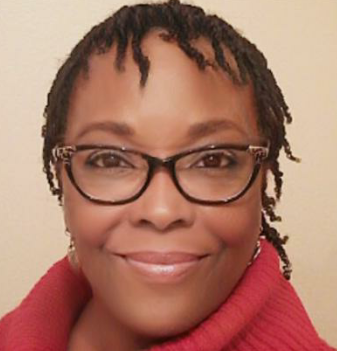 Hi Barb - I'm new to your site, like what I see! I love this card very pretty! Polychromos pencils are next on my "I have to have" list! It's really soft and nice! I love the texture of the coloring! Great job! Your card is beautiful and I love how you have stamped the same motif on the inside in a paler version. Thank you for great inspiration! That was cool. Thanks also for your addition of the "how to" use your digis. I love this card and the digi stamp advice!! This card really speaks fall to me. I hope I didn't post two comments but I don't see mine from this morning. You did such an amazing job, very pretty!!! Great image, and I love your multicoloured corn. It definitely looks very autumnal. What a stunning card. Just absolutely beautiful. Such a gorgeous card and a great tip! Thanks. Gorgeous card! love the way you colored the stamp! Oh wow! Beautiful image and colouring. Your card is gorgeous and the way you coloured it is beautiful, I love the colours that you chose and I think the inside of your card is so lovely too! Wow...it's Amazing!!! I love the colors you used. Your coloring is amazing! Looks very realistic. Your card is just gorgeous. Thank you for sharing! Awesomeness 😍 This is all so much fun! Fantastic coloring and card! Thanks for the chance to win! This is sooo pretty inside and out!I usually decorate the inside of the card as well, but never thought to repeat the actual image! genius! Amazing colouring. So nice and soft. Love autumn cards. A really great job! 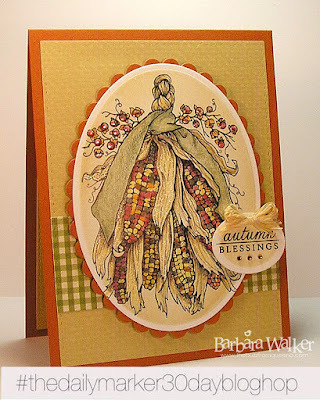 I love how you colored the corn as well as how you created the inside of the card!!! That is an awesome image and you colored it beautifully!! I really like how you reprinted it in light ink on the inside & added your sentiment!! Oh my word!! Your coloring is BREATHTAKING on that image. I cannot believe you did this with pencils!!! Just beautiful! Great card, thanks for sharing! Wow! Stunning coloring and such great tips using your dies!!! I love the image. I've not worked with digimages before. Thanks for the link! what a lovely natural coloring. i love everything autumn related. 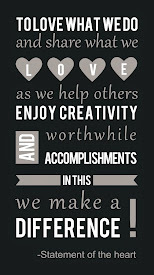 Lovely card, lovely sentiment, and thank you for the encouragement in your blog header. These are beautiful cards, Barb. Your card is gorgeous with such beautiful coloring!! The maiz is beautiful, the color makes it standout wonderfully. I can not express what a wonderful job you did. Pretty Card Inside and out. Fabulous coloring! Great idea to use a light gray version of the stamp on the inside of the card! Love the Indian Corn. PowerPoppy has such beautiful stamps. I need to figure out the digital thing! Love how you colored the corn and used the same image for the inside of your card. Very beautiful card and coloring is amazing! Love both of your cards. The last one shows the simplicity that can be achieved. I always think mine have to be just certain way for me to appreciate them. Such a cute idea... 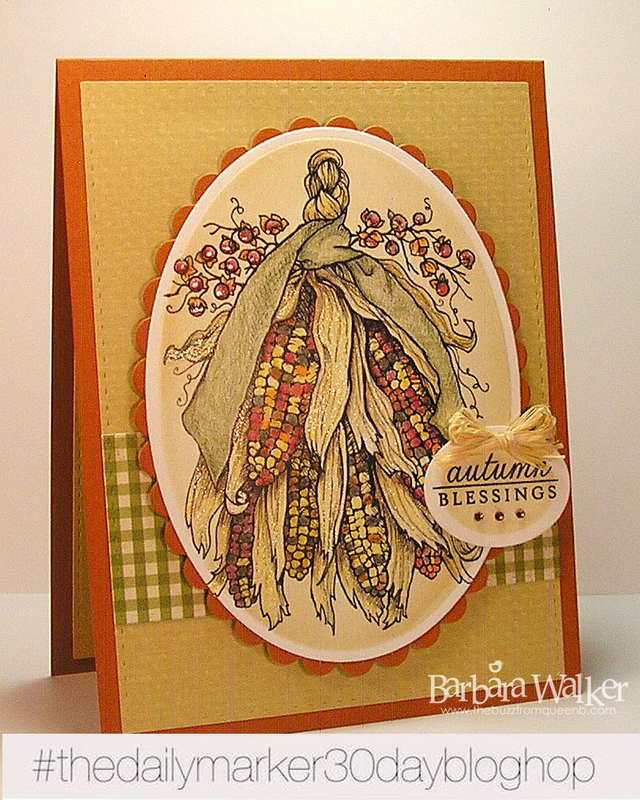 I love the corn.... very festive for fall... thanks so much for sharing. Love your style. Gorgeous card ! Love your colouring and this photo is too lovely. Gorgeous coloring, perfect fall colors, too. So very beautiful !! Love the image and the way you colored !! Lovely colors and beautiful card. Such a pretty card! Love the coloring and layering that you did. Such a pretty card. Love the coloring and layering that you did. Love it! Perfect November card. Beautiful card. Perfect for November! Love your beautiful coloring ! Awesome card! I love the idea of the muted image with the sentiment on top inside the card! Your card is absolutely beautiful! LOVE this beautifully colored image and that you repeated it inside the card! It really makes the sentiment stand out and the card looks so finished and gorgeous! TFS! WoW, this is gorgeous and so realistic. A beautiful job! Beautiful coloring, so realistic and intricate too! Beautiful coloring. That corn looks amazing. What a gorgeous stamp! Great coloring and layout. Really liked the inside, too! Very pretty. Love the soft look. Wow! I can't believe how detailed and beautiful your coloring is Swoon! Lovely card and your coloring is just beautiful!!! WONDERFUL!! !Love the colors and your shading is amazing!!! Thank you so much for sharing your incredible talent!!! I haven't used these pencils, but I'm so happy to find someone who uses pencils at all. Autumn is my favorite time of year, so this really "sings" to me. Lovely! A beautiful card. Your colouring is lovely. Tears are welling in my eyes at the beauty in this card that you poured so much love into coloring with two different pencils to accomplish this masterpiece! I am going to treasure it forever Barb as I do your precious Friendship! Hugs! The coloring on here is gorgeous! Love how realistic the corn looks! The three dimensional card is spectacular! Barb, your card is absolutely gorgeous. It is perfect for fall and I so appreciate all the details you shared on how you created it. The inside is lovely too! Thank you so much for sharing your creativity. I am excited to see lots of coloring from you this month. Have fun!! Hugs! Wow this is amazing. The details and coloring of this card is gorgeous. Stunning colouring, i have not seen this stamp before, and is amazed by the details your have put in it. Wow! Fantastic coloring! Your card is awesome! The colors are so perfectly autumn! You're such a sweet talent and inspiration! I wish I could color like that! What a beautiful card. What a lovely pair of fall cards! So pretty -- both the colored and non-colored versions. Wow your card is gorgeous! Your coloring is beautiful!!! I love how you stamped the inside of the card. Absolutely gorgeous, I have always love this design from Power Poppy. This is always a fun challenge to do, thanks for sharing your work! That card is absolutely fantastic! I love the way you used the image on the inside of the card. Your coloring is amazing! Thanks for sharing. Oh, WOW. Just WOW. How wonderful! All those different colors and shades on the corn are so amazing! WOW!!! What a awesome card. Your coloring technique is fantastic. Thank you for sharing. Oh wow! Love all the details!